AKIPRESS.COM - International connectivity through trade, investment, migration, communications, and transport is critical to economic development in Europe and Central Asia. These connections work together to help firms become more productive through knowledge and technology transfers, says a new World Bank report, Critical Connections: Promoting Economic Growth and Resilience in Europe and Central Asia. The report analyzes the impact of different types of connectivity on growth to help policy makers maximize the economic benefits of these connections across Europe and Central Asia. 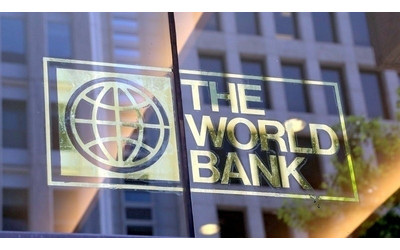 “This report shows that greater economic connectivity leads to the spread of knowledge and higher income growth for societies, but even more so for the bottom 40 percent of the income distribution,” says Hans Timmer, World Bank Chief Economist for Europe and Central Asia. The new World Bank report measures connectivity by creating a new indicator, the Multidimensional Connectivity index, that combines several channels of international connections, including: trade, FDI, migration, information and communication technology (ICT), and transport links. According to the report, the best connected sub-regions of Europe and Central Asia are Western Europe followed by Northern, Central, and Southern Europe. The Western Balkans, Central Asia, and the South Caucasus have the lowest levels of overall connectivity. The report also shows that the benefits of these connections build on each other, highlighting the gains offered to countries through knowledge transfers implicit in regional supply chains and the consequent knowledge from hands-on “learning by doing” that is not easily transmitted by books or blueprints. In Europe, many policies have supported the various forms of connectivity that led to the development of strong supply chains and opened doors for greater productivity and growth. In Central Asia, despite recent moves toward building greater interconnectedness, the region remains among the least connected globally. Because of both its geographical position and limited infrastructure, many of these countries are only weakly connected to other ECA countries and the global economy. Although the vast distances between Central Asia, Europe, and East Asia remain an obstacle to connectivity, infrastructure investments and policies to improve integration through free trade, infrastructure, and investment could provide large growth benefits in Central Asia. “Increased international integration facilitates the transfer of technology and ideas between countries, firms, and people - which is essential for boosting long-term growth and shared prosperity,” says David Gould, World Bank Lead Economist for the Europe and Central Asia region and lead-author of the report. The report finds that increased connectivity also exposes countries in the region to the risk of economic shocks. However, by providing alternative sources of external demand and financing, diversified connections can reduce those risks and help countries manage both domestic and external shocks. The report emphasizes that many countries in the region have built greater connectivity, advancing economic development over the last twenty-five years. By recognizing the challenges, as well as making explicit the potential opportunities of greater connectivity through various channels, the Critical Connections report can assist policy makers in building the foundations for deepening important connections in the coming decades.